Boating is meant to be enjoyable and no one wants their trip spoilt by incidents or accidents. The information in this section is provided to help keep you and your passengers safe when you are out on the water and ensure the safety of those around you. You must know how to safely handle your vessel in all situations, including launching and retrieving, when anchoring and when refuelling. You must also understand the maximum load your vessel can safely carry. You must also be familiar with vessel navigation lighting configurations, the buoyage system used in Victoria and how to operate your marine radio. You must understand the operating rules, such as speed and distance restrictions, alcohol and drug laws, steering and sailing rules (particularly around big ships, marine wildlife and in transit zones and shipping channels) and operating in conditions of heightened risk. Finally, you must know what to do in an emergency. Penalties exist for those vessel operators who do not follow the rules. On-the-spot infringements may be issued. In addition to any penalty that may be imposed on the person for any hoon offence, a vessel may be embargoed, impounded, immobilised or seized. Of course, in the case of serious safety offences, court action or cancellation of your marine licence can also occur. 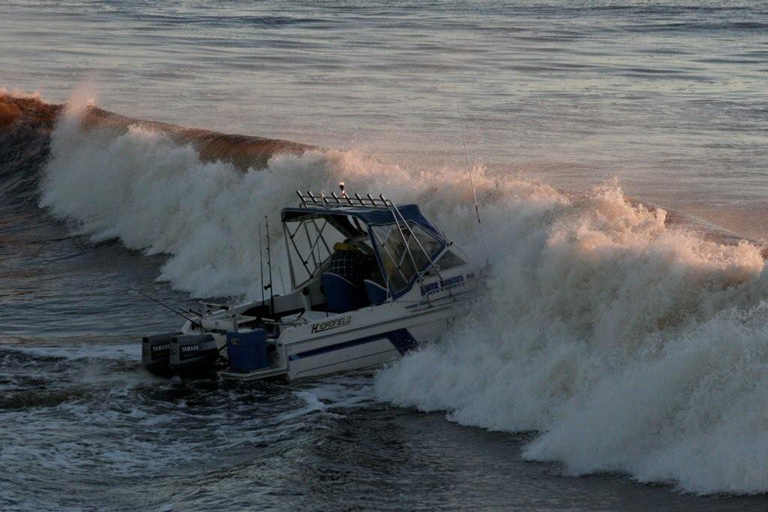 As a responsible vessel operator, you should follow the rules outlined in the Boating Safety Handbook.